Jean-Claude Juncker, President of the European Commission. His appointment has upset the likes of David Cameron and Iain Duncan Smith, the latter of whom said that giving him the role was "flicking two fingers at the rest of Europe"
When Europeans went to the polls in May, the result was widely seen as a damning vote of no confidence in the increasingly closer ties that have emerged between member states over the last two decades. The mass rejection of federalist, pro-European candidates across Europe, in favour of right-leaning Eurosceptics eager for a halt to the freedom of movement that has taken place since the Maastricht Treaty in 1992, has led many to assume the EU was set to undergo a period of dramatic reform. However, it seems the will of the people is of little concern to European leaders, who have appointed a deeply unpopular federalist to replace the outgoing Miguel Barroso as their president. Former Prime Minister of Luxembourg Jean Claude-Juncker’s appointment has infuriated many of Europe’s less enthusiastic members, and has led to speculation that the UK might even leave the EU altogether. 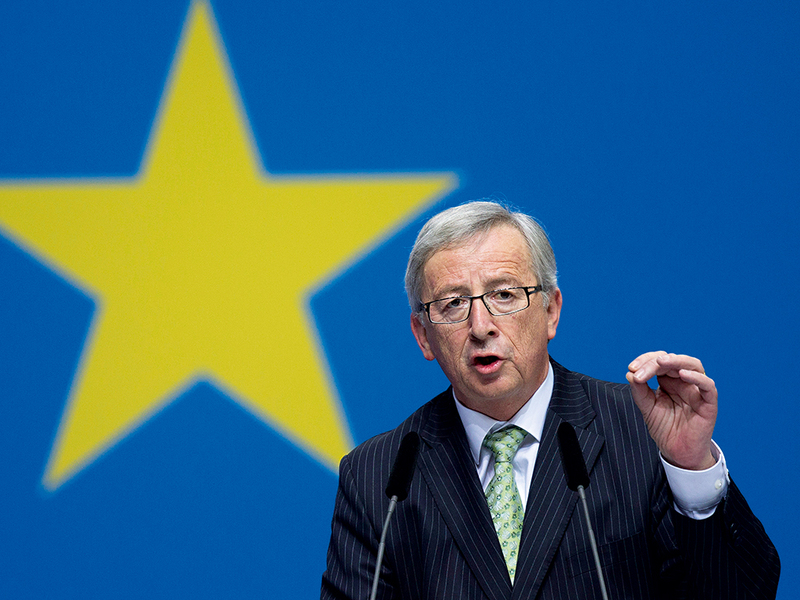 Until now, the appointment of Juncker would have to have been ratified by Europe’s many national governments. However, as part of the recent Lisbon Treaty, it was decided that the European Parliament, taking into account the elections, would vote any future leader of the EU commission in. While some might have assumed the new Eurosceptic MEPs would select a candidate opposed to closer ties, it seems the rule change has secured the position for an arch-federalist. This is because, once again, the European People’s Party (EPP) succeeded in being the largest party at the elections, despite losing 63 seats, and, in March, just before the elections, the EPP voted to choose Juncker as its candidate for President of the European Commission. Known for his nearly two decades in charge of Luxembourg, Juncker was one of the longest serving democratically elected heads of government anywhere in the world. His career prior to becoming prime minister included a role as minister for finances, as well as playing a prominent role in the negotiations that created the Maastricht Treaty. He also briefly served as governor of the World Bank, as well as governor of the International Monetary Fund. However, his lengthy tenure as prime minister of Luxembourg – from 1995 to 2013 – was brought to an end after a scandal over abuses by the country’s security service SREL and his failure to properly deal with them. While Juncker spent a considerable amount of time as leader of Luxembourg, many of his harshest critics have painted him as an incompetent technocrat who could barely get a grip on high-level discussions as head of Eurogroup – a committee of finance ministers – during the eurozone crisis. Some, including his successor as head of Eurogroup, Dutch Finance Minister Jeroen Dijsselbloem, also accused him – perhaps unfairly – of having too great a fondness for alcohol. Others say he is exhausted after leading Luxembourg for almost two decades, while also pointing out that heading up the EU is rather more challenging than a country the size of a large town. The most vociferous opponents of Juncker’s election were the British. UK Prime Minster David Cameron publicly said he would keep fighting “to the end” to prevent Juncker’s appointment. Other EU members, including Sweden, the Netherlands and Hungary, who all feared that Juncker represented a choice that was out of touch with the will of the people, backed Cameron. Even German Chancellor Angela Merkel hasn’t been overly enthusiastic about Juncker, but she was hamstrung by her need to placate her domestic coalition partners, the Social Democrats. Even though it seems like it’s just a handful of governments that were opposed to Juncker, behind the scenes it appears sentiment was quite different. UK politicians lined up in the weeks before his appointment to complain about the way many leading European figures condemned Juncker in private, but backed him publicly. Cameron successfully managed to force a vote on the issue at a meeting of European heads of state in Ypres in late June. The unprecedented vote was designed to make other leaders make their intentions clear – and public – over Juncker, hopefully leading to a delay in the decision. However, in a huge embarrassment for Cameron, Juncker was voted in with 26 of 28 votes, with only Hungary supporting the UK stance. The problem with those who vocally opposed Juncker as leader is that they failed to suggest a single alternative candidate for the job of EU Commission President. Speculation that Merkel might present IMF chief Christine Lagarde as an alternative proved popular with the masses but was unfounded, while Cameron’s apparent push for former UK Health Secretary Andrew Lansley was met with derision by many. The UK government’s handling of the situation was condemned by many, with Polish MPs ridiculing David Cameron’s stance as “stupid propaganda” designed to appease the Eurosceptics within his Conservative Party. Some observers have even speculated that Cameron’s stance is merely designed to appear tough so that Eurosceptics in the UK think he’s less keen on a federalist EU than he actually is. If so, it worked, with a poll showing the Conservatives ahead of the Labour Party shortly after the appointment, with many stating Cameron’s stance on Europe as a deciding factor. What all this complaining from Cameron will mean for the UK’s relations with the EU in the future remains to be seen. Juncker maintains he won’t hold any grudges, but he will almost certainly remember just how much Cameron’s government was opposed to him when it starts to try and renegotiate its membership of the EU. If Cameron fails to get any concessions in the negotiations, it could well lead to 2017’s referendum on membership resulting in Britain leaving the EU. Indeed, he even said the UK had taken a step closer to leaving the EU after Juncker was confirmed. For the rest of Europe, Juncker’s appointment flies in the face of May’s election results. Whether the job will merely be a nice, token role for one of the EU’s longest-serving proponents, or a job with serious influence on the future shape of Europe remains unclear. Certainly Juncker will find it difficult to placate many of the new Eurosceptic MEPs, and addressing the concerns over tighter integration and a more federalist EU should have been European leaders’ first priority when selecting Barroso’s successor. However, it seems that instead they have gone for someone determined to see a Europe that resembles a closely-knit federal state, rather than a group of trading partners.